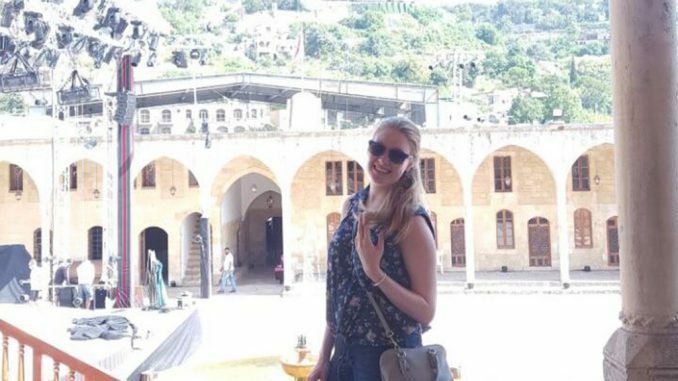 Stefanie Schulz, Bachelor International Business student at MBS, is currently spending her semester abroad at ESIC Business & Marketing School in Madrid, Spain. Here, she regularly shares her experiences. Throughout my semester abroad, I planned to travel and see as much as possible of the country. Last month I traveled to Andalucía seeing the cities of Granada, Cordoba and Seville. 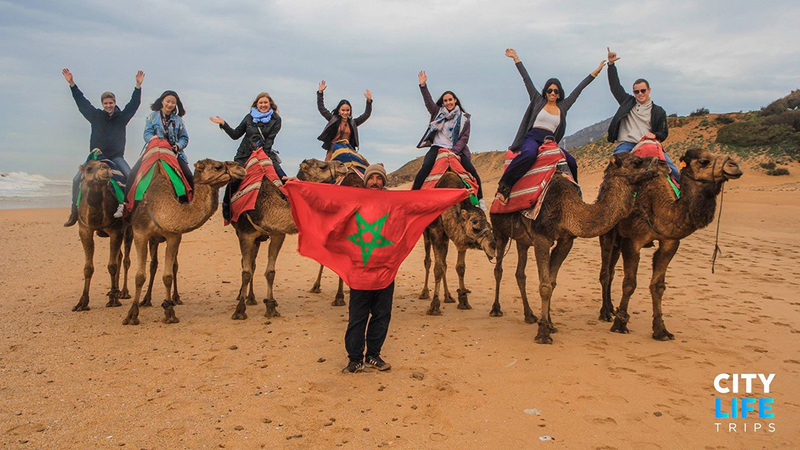 I even traveled to Morocco, which impressed me by its beautiful nature. 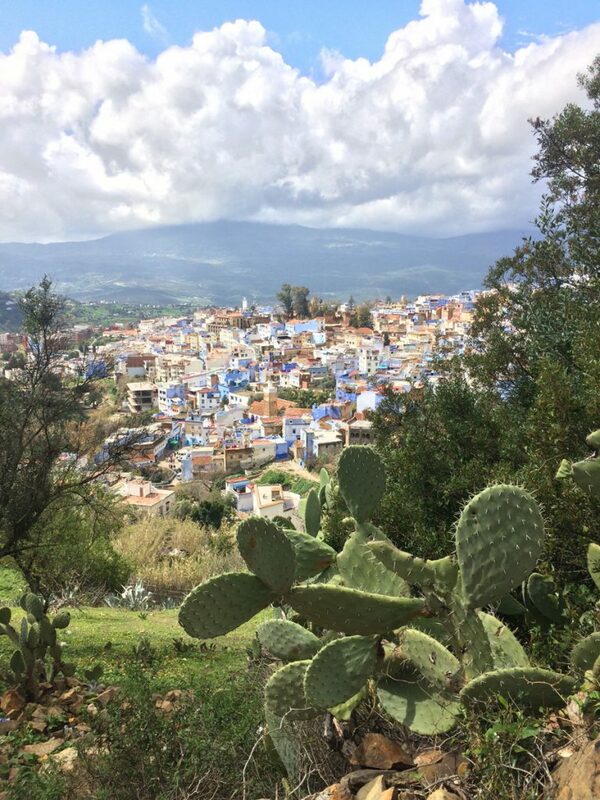 Left picture: Mountain view of Chefchaouen, Morocco’s “Blue City”. 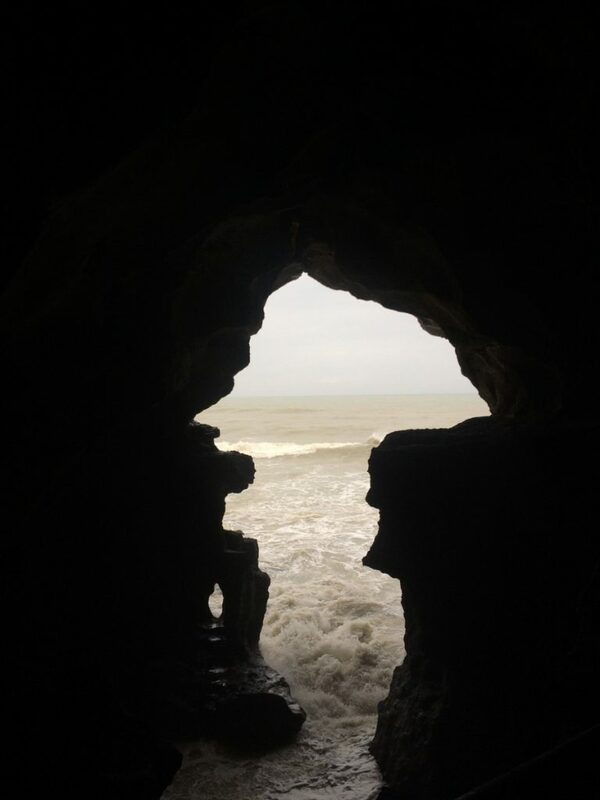 Right picture: The Caves of Hercules in Tangier. Right now, it is Easter, which is a very important Christian celebration and vacation here in Spain. There are so many amazing traditions and also delicious Easter delicacies. 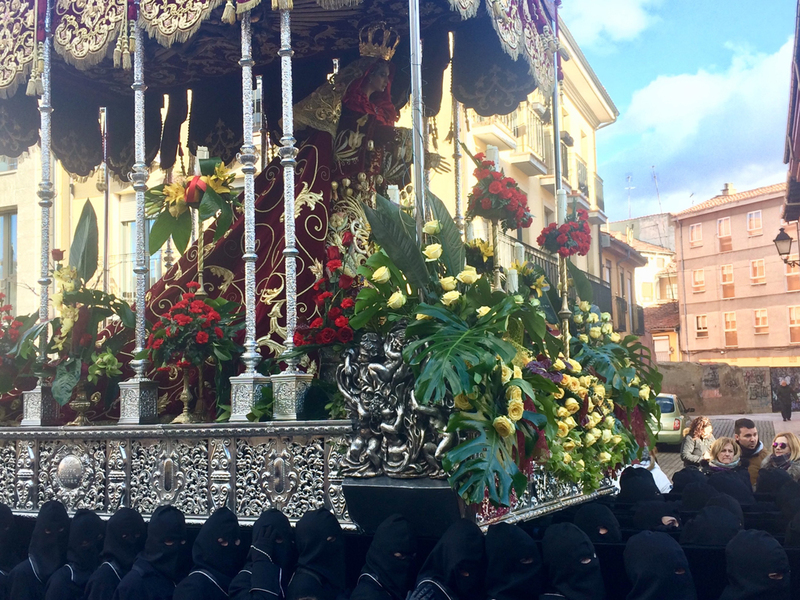 For this reason, I went to some old cities during the Holy Week (Semana Santa), which are very rich in traditions and famous for their Easter celebration. I was astonished and impressed by the processions which are held on the streets by the different catholic brotherhoods. The Easter Procession in León, carrying a statue of the Holy Virgin. 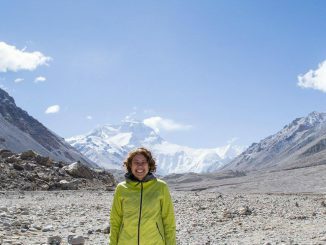 Looking back on the semester abroad: what would you have done differently, and why? Slowly, my semester is already coming to an end. April will be the last month of classes and in May is the official period of the final exams. At ESIC, the lecturers seem relatively flexible so that most of my lecturers modified or decided to bring forward the dates. Now, I have most of the exams at the end of April and if I successfully pass them, most of the finals in May are not necessary anymore. 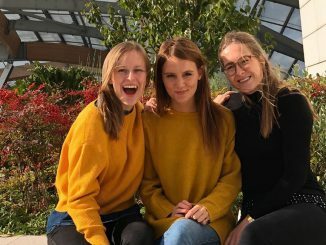 Looking back, I learned a lot about intercultural cooperation and teamwork due to the Erasmus students, and also gained valuable experience while studying abroad. Otherwise, till the end of the semester, I still plan to travel to Portugal in May, and I look forward seeing and experiencing a little bit more of the northern part of Spain. Madrid is a very dynamic and lively city with a very modern spirit. If and when the opportunity arises, I would love to stay a little bit longer in order to do an internship during the summer. Update: Some weeks into the semester, Stefanie shares her experiences on living and studying in Madrid. How were your first weeks abroad? My first weeks here in Spain were very turbulent. First, the airline lost my luggage for some days, and then I had some problems with my booked accommodation. The housing market in Madrid is very tight and finding a suitable and nice accommodation turned out to be a little complicated. But the university tried to support me with websites and Madrid’s huge international student organization “MadridCityLife” is very helpful when it comes to problems like that. But besides that, I am happy to have great classmates. It is a great experience studying together with Spanish students as well as with Erasmus students from all over the world. I really enjoy the international atmosphere here at ESIC University! 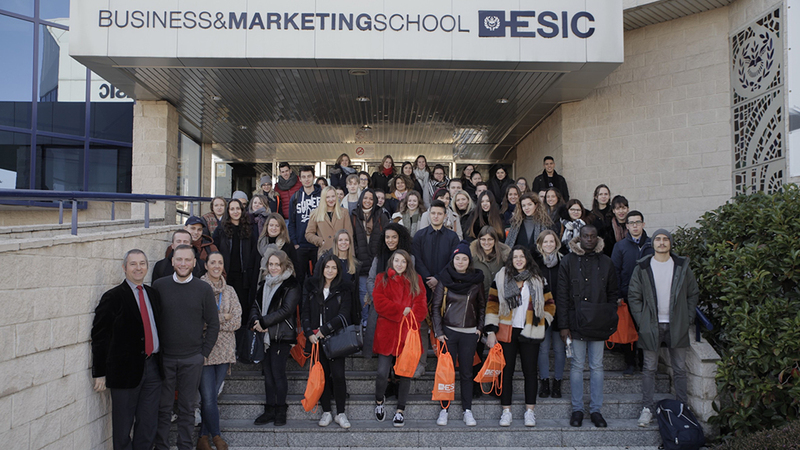 The Welcome Day at ESIC Business and Marketing School. How did you get settled in your new town and host university? Now after moving to a new apartment in the center of Madrid, I feel way more settled and comfortable and finally I can enjoy the beauty of Madrid. Madrid is an amazing city which offers so many opportunities to spend the free time outside the university and to get to know so many interesting people. 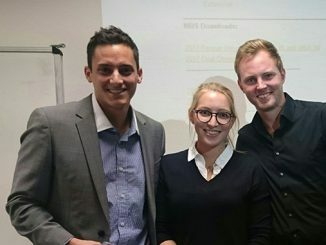 The lecturers and the staff at ESIC are very welcoming, open minded, and always helpful. I also got used to the system of having evening classes very quickly. What surprised me was the casual and very friendly relationship between the professors and students. Despite some issues in understanding the English of some lecturers, I really enjoy my time here at ESIC and Madrid and look forward to the next month ahead. Have you gone on any trips? Madrid has a very good and organized international student organization, which organizes many great events and also offers trips. Spain is a beautiful country and during my time here, I plan to travel and explore as much as I can. Last week, I went to Segovia and El Escorial with some new friends, two amazing and charming historic towns. The upcoming weekend, I will travel to Andalucía to visit Cordoba, Sevilla, and Granada. 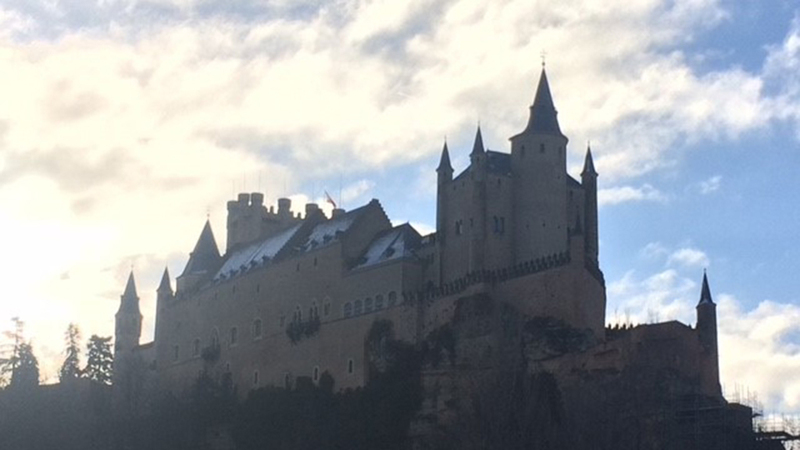 The Alcazar of Segovia, a medieval palace stronghold, is one of the city’s landmarks. 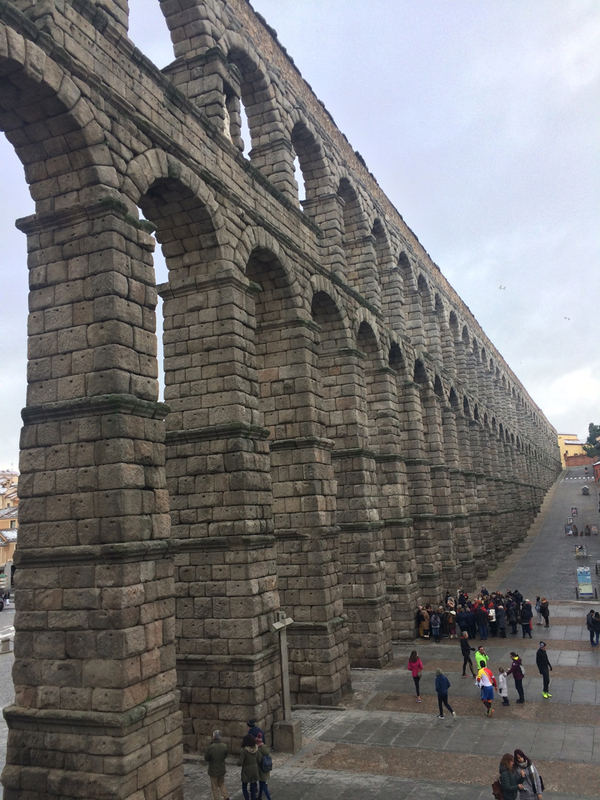 The Aqueduct of Segovia is said to be one of the most impressive examples of ancient Roman architecture. ESIC Business & Marketing School is focused and specialized in the field of marketing. Furthermore, ESIC is having a great reputation and is very prestigious within and outside Spain. It achieves outstanding results in university rankings. ESIC is a young, innovative university, which also promotes entrepreneurship. All these factors combined with my wish to improve my Spanish led me to the decision to apply for this university. I hope I can gain insights into the Spanish culture and improve my Spanish language skills. Furthermore, I hope to gather more experience in international group work and practical projects, which ESIC puts emphasis on. Since I am joining another private university, I think the general atmosphere and study environment will be quite similar. I am most excited about my new classmates and also my new international housemates. I love living with and getting to know new and especially international people. Of course, the great location in Madrid and the possibilities this city offers make me feel excited, as well. I am looking forward to an adventurous and new semester abroad.